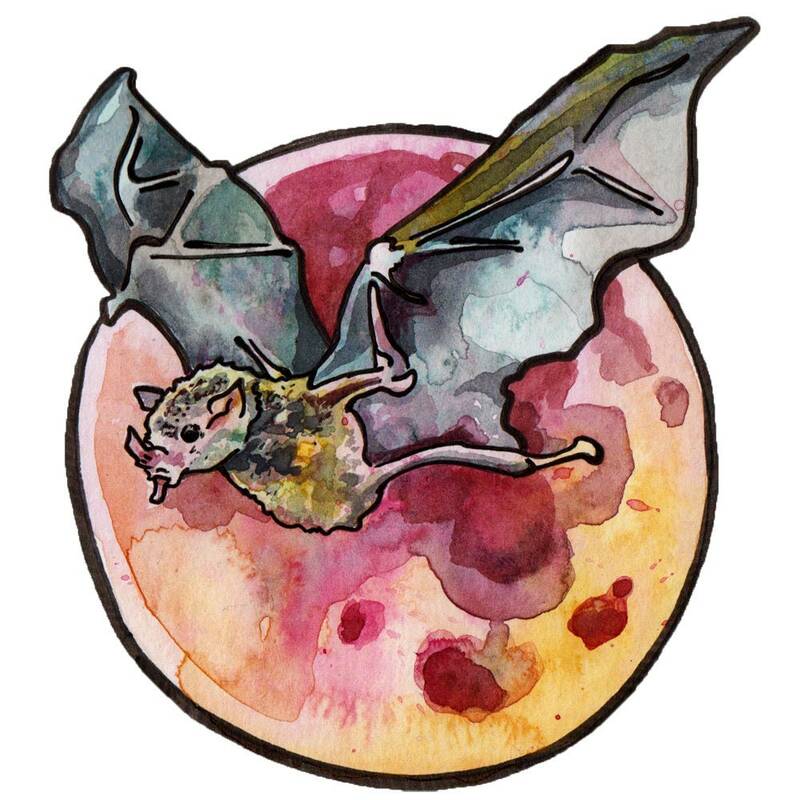 October's full moon is commonly known as the Blood Moon or Hunter's Moon. It is traditionally considered the time when the veil between the living and dead is thinnest, which goes nicely with the Halloween season. 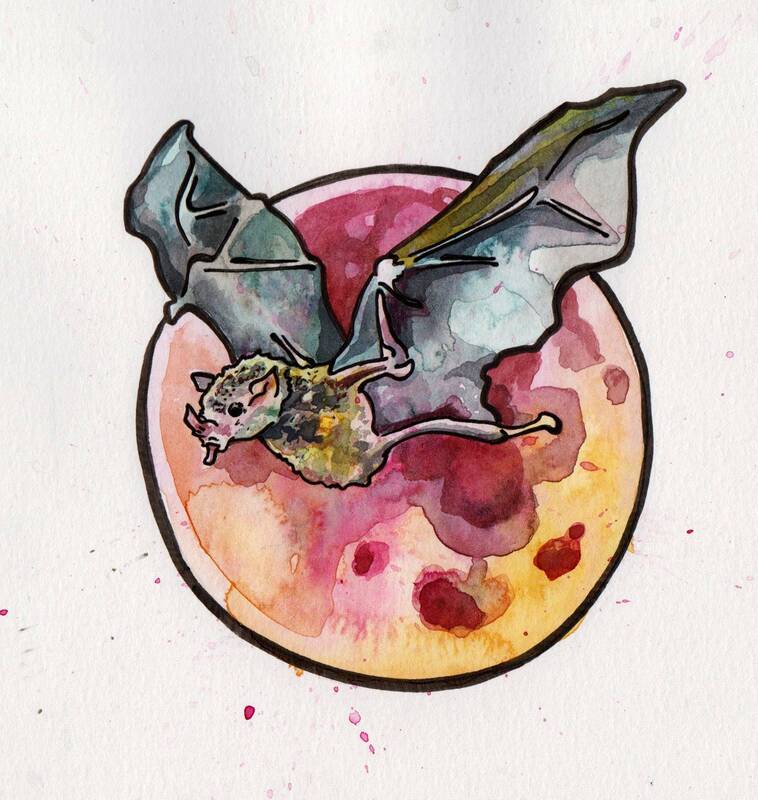 This watercolor and ink painting features a full blood moon and a flying vampire bat. This original work of art is entitled "Hunter's Moon." It is watercolor and ink on paper. It measures 6 inches by 6 inches (15.3 cm x 15.2 cm).